In the beginning there was Jack, and Jack had a groove and from this groove came the groove of all grooves. Did he really? Is jack the real founder of grooves and house music. For some people this tune marks the start of electronic dance music, but the roots of the genre EDM date back to the mid 70’s early 80’s. Recent decades showed us that the genre didn’t really have an expiration date and diversified into countless genres. But what about the artists? How old is too old to enjoy the nightlife? 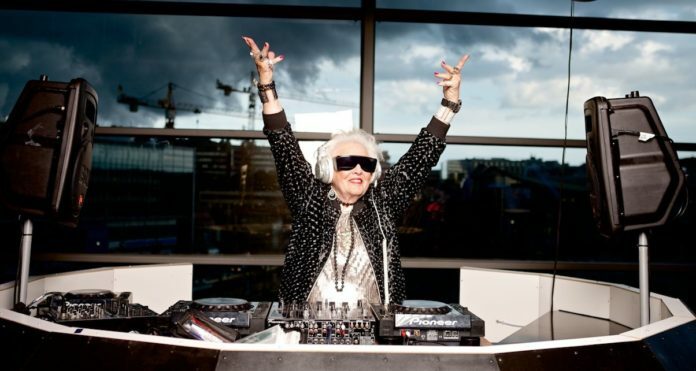 Here are 7 DJs over 40 that prove that age is just a number. Though he may seem like he is at the end of his 20’s mid 30’s, this man’s production date dates back to 1977. However, Mr. Aoki still knows how to build a decent party and is a regular guest here in Belgium’s Tomorrowland. Daft Punk is more popular than ever, even though they only preform at the Grammy’s. Hiding away behind there iconic robot faces this duo does not seem to age. They produced albums about their iconic journeys every 10 years: Alive 1997 and Alive 2007. Fingers crossed for Alive 2017. The robots started at the end of the 90’s and have been around for 2 decades. It comes as no surprise that this duo exists out of DJs over 40. The left shiny helmet is 43 and the right shiny helmet is 44 years old. Unfortunately, Thomas Bangalter started to suffer from tinnitus. An edition of Tomorrowland without this man is like American presidential elections without voter fraud disputes. This man brings back a lot of memories. The first track I ever heard of him was Love don’t let me go back in 2002. 15 years ago already. This man will turn 50 this year. So, tell me! What’s your uncle excuses to not be as cool as this guy? Are you still reading this, well then, you’ve come a long way, baby. Known for tracks like Weapon of Choice, Right here, Right Now and many others this man has been in the music business since he turned 16 in 1979. Do the math and you know he’s born in 1963. I sure hope I can party as long as this man. He’s been around for a long time. Born in 1962 Carl Cox made a legend out of himself in the techno and house music genre. Spending a lot of time in Ibiza and the iconic club Space obviously kept his mind young because this man still has a full agenda. The guru of Psychedelic Trance is not a young, 28-year-old, dude from the underground scene of Berlin. Nowp. Raja Ram was born in 1941 in Australia. He turned 76 on the 18th of December. Teaming up with his buddy Rika Tam they form the band 1200 micrograms. It’s safe to say that these guys are DJs over 40. This DJ is born in the same year the Germans occupied France, 1940. He made a contribution to the latest Daft Punk album Random Acces Memory. Talking about an influencer. He brought the sound that was well ahead of its time. This man is a living legend, he paved the way of Electronic Dance Music in the early days and still tours in 2017. Do you know another famous DJ who’s been around for quite a while, share it in the comments below. Looking for a mention in this list? Make sure you protect your hearing so you can keep on playing gigs way past 40. Don’t know how to protect your ears? Read our guide about the best earplugs for musicians. Previous articleThis map shows the best DJ per country in Europe. Period! Next articleHow do I stop my ringing ears?